Complete flexibility, made of hard plastic Each leg has nine black ball and socket joints that .. Product information "Universal holder GSM-001 selfie for cell phone Samsung / HTC / LG on photo trip.. 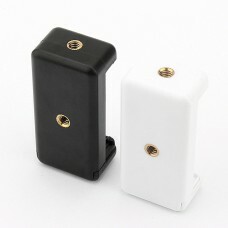 Description:Material: ABS.Color: black, white.Weight: 30 g.Clip range: 55-85mm.size: 73 * 35.5 * 25 ..